Saint Jude is the patron saint of hopeless, impossible or desperate cases. 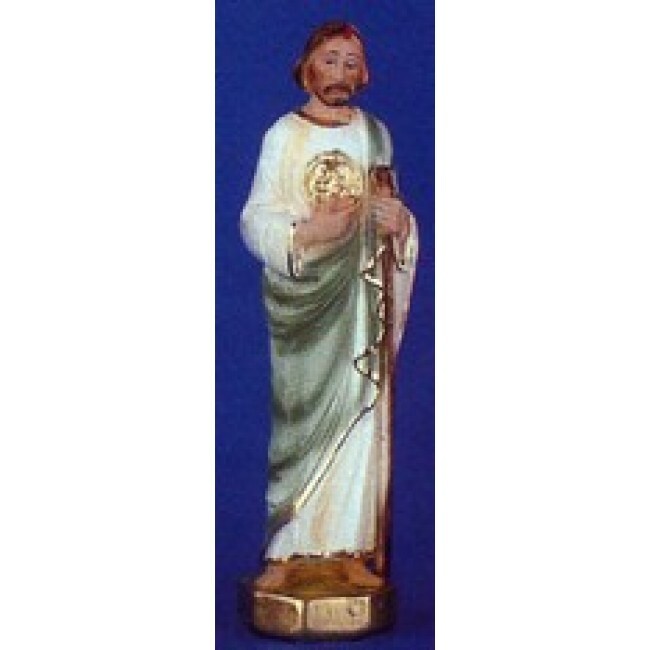 He is best-known for being one of the 12 apostles and for his death as a martyr. The beautiful St. Jude statue features a somber representation of the saint in traditional robes. It is hand-painted and makes a lovely addition to any home altar. The handsome piece also makes a great gift for yourself or for anyone in need of a little extra help and divine intervention.